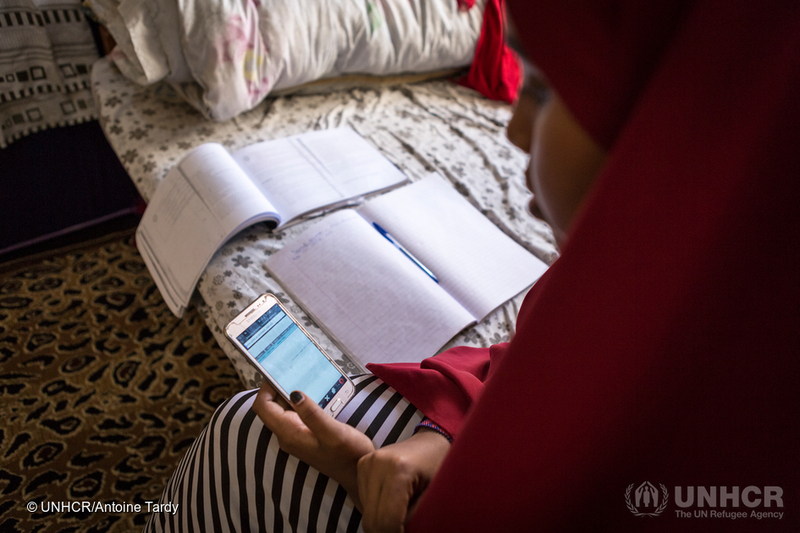 Innovation in refugee education includes developments that are both social and technological. These include online teaching and learning practices, digital gameplay for tablets and phones, tools to monitor and evaluate education systems, open educational resources (OERs), and more. As well, new ways of using existing technology can be considered innovative, particularly when they impact how a society is structured. In this post, I outline the current landscape of ICT and education in conflict and crisis. 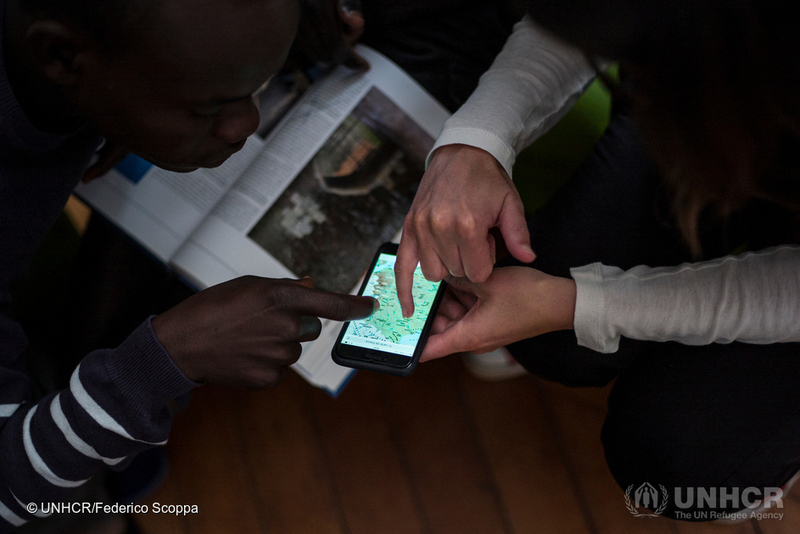 I then present one example of how an existing, multipurpose, and social technology – the mobile phone – can connect and map networks to support education in refugee camps. The scope of the global refugee crisis is vast and keeping track of educational programs and initiatives underway is fast-moving business. USAID’s Education in Conflict and Crisis Network (ECCN) and this Promising Practices in Refugee Education are two examples of efforts to compile and disseminate relevant and timely information. There is additionally a focus on technology in this landscape. For example, the mEducation Alliance Symposium features conflict and crisis, as did the UNESCO Mobile Learning Week. The International Network for Education in Emergencies (INEE) has a Technology and Education in Crisis Task Team and is currently developing The ICT Inventory, an interactive database of tools and projects supporting education in conflict and crisis. Another area of work related to education and technology involves private investment, such as that going into initiatives for Syrian refugees in Jordan, Lebanon, and Turkey. This report and others identify how technology can support education ranging from content access and delivery to monitoring and evaluation. At the same time, there are concerns with regard to an over-emphasis on technology as a solution to complex problems in education. An NPR article about the subject summarizes: “To oversimplify a bit, for every donor funding a soccer ball there are 10 backing tablets, educational games, online courses or learning platforms” (Kamenetz, 2017). Media, research, reports, and public press on the subject of refugee education and technology are increasingly available. As examples, I authored a Landscape Review (2016) on the subject and recently published an article about digital media education and forced migration. Important to this landscape is also further study about the role of existing technologies to support education within refugee camps. 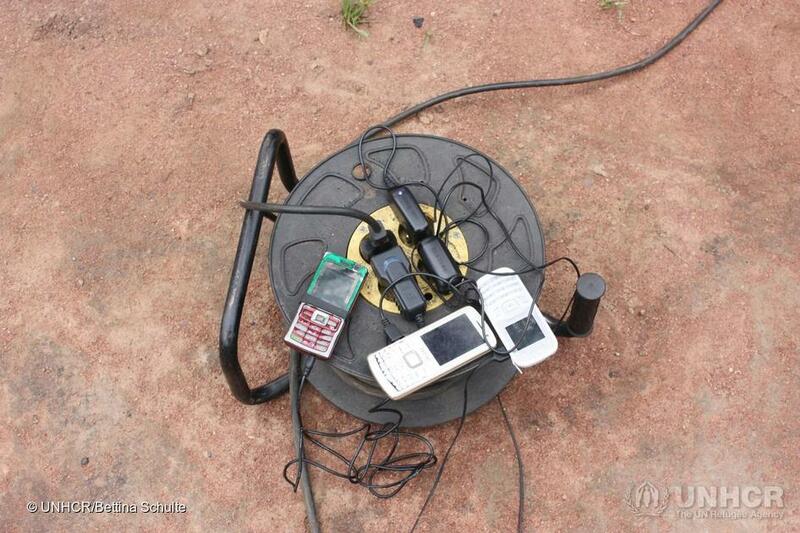 Mobile phones and transnational social networks play an important role in refugee education. In Dadaab, for example, mobile phones are used for transnational communication about higher education program applications and deadlines. These tools are also key actors in the exchange of social and academic support among refugees seeking and enrolled in higher education, often using text based communication such as WhatsApp Messenger and Facebook (Dahya & Dryden-Peterson, 2017; Dryden-Peterson, Dahya & Adelman, 2017). The tool shapes social relationships and social norms and practices shape how the tool is used. Currently, my research examines the role of text messaging (SMS) and instant messaging chat groups to support teacher professional development in Kakuma and Dadaab. Preliminary results from this study point to several noteworthy outcomes. Aligned with our previous work, strong and pre-existing relationships among peer-teachers are key components of ongoing teacher professional development. Mobiles are multipurposed as tools to search for subject area content (e.g. history, math) and for examples of lessons, as well as for peer-to-peer consultation using SMS and instant messaging. 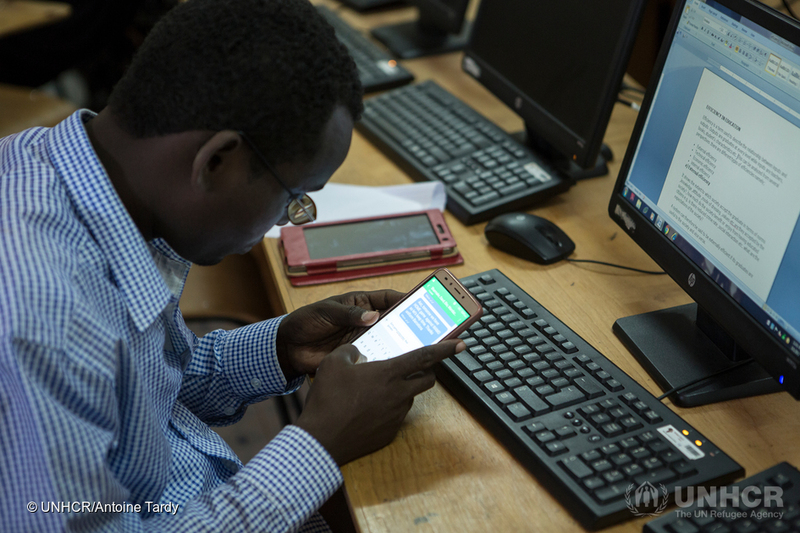 Education in Kakuma and Dadaab, as elsewhere, includes connected communities that are partially facilitated by SMS and instant messaging. Principals use SMS to update teachers about school news and meetings. Teachers across camps share stories of student success and failure in group chats. Community mobilizers engage parents and guardians about the importance of education, especially for girls, also using group instant messaging. Many teacher training programs are facilitated and instructed by people outside the camps, and sometimes outside of Kenya. Mobile and text-based communication has been used for direct instruction, to run tutorial sessions and discussion groups with Faculty and Teaching Assistants, and to connect teacher mentors globally (see this post for an example of mobile mentoring). In summary, there are education ecosystems within and beyond the camps where social, educational, and technological networks intersect. Mobile technology, text, and instant messaging support connections, information exchange, organizing, and professional development at a peer-to-peer level. Most teachers in our research used their mobiles to develop a stronger teaching practice. They also used their mobiles to engage the wider community in conversations about the necessity of education, a critical development showing how society and technology can have mutually shaping functions. Our research shows that teacher professional development expands beyond formal programs by using technology to connect human resources and communities within, across, and beyond the boundaries of refugee camps. Negin Dahya is an assistant professor at the University of Washington Information School. Her research focuses on the social and cultural context of technology use and production among girls and young people of color in educational settings, including refugee education. For more information about her work please visit www.negindahya.com. This synthesis report presents valuable insight into current initiatives in refugee education. The project team for Teaching by Text: Mobile & Instant Messaging For Teacher Training in Refugee Camps includes Negin Dahya (Principal Investigator, University of Washington), Sarah Dryden-Peterson (Harvard Graduate School of Education), Dacia Douhaibi (York University) & Olivier Arvisais (Université du Québec à Montréal - UQAM). The project was funded by the University of Washington Royalty Research Fund (2016-2017).